Boost your venue in search results and book more events with a Venuemob-exclusive offer. While package incentives like free flowing sparkling on arrival or a free additional hour of canapés are a bonus, we found that those types of deals were rarely the difference between a customer booking one venue over another. Which is why we no longer advertise these incentives on Venuemob listings. Our community of event planners want tangible discounts. That is, a dollar amount, or percentage, off their total event spend. Why add a discount offer? Venue partners with a live offer receive a significant boost in our search results – especially in search results for events that fall within the dates in which your offer is valid. Secondly, if your venue listing is also filled with beautiful content we'll be promoting these discounts to our customers in weekly EDMs, and on socials. It makes sense right? Event planners want amazing offers and value-adds, and we have a growing list of venues that are giving them just that. To ensure that you're in the top list of promoted deals venues, make sure that you check how your listing looks to customers. 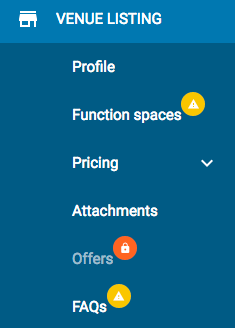 You can do this by clicking on the 'View Listing' button in the 'Profile' section of your dashboard. And the last one's obvious: you'll receive more event bookings. Everyone loves a perk and an exclusive offer. Add one to your Venuemob listing to get the most out of your Venuemob experience. How do I add an offer to my listing? Please note – you need to have a CQS/listing completeness of at least 80% to add an offer. Offers will remain locked until you meet this threshold. To get the most out of adding an offer, and incentivise the customer to actually enquire, we want to ensure your listing is full of attractive content. You can head to the Venuemob Manager dashboard to see what your listing is missing. To add an offer, log into Venuemob Manager, then head to Venue listing > offers. There, click 'Create offer'. You can choose from season-specific offers, such as EOFY event discounts, offers targeting last-minute, end of year events, or you can create a custom offer – applying customisable start and end dates to your offer. 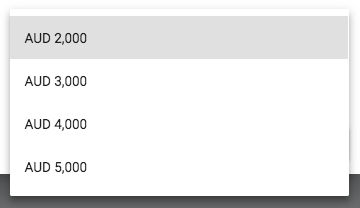 After choosing your offer category, you'll be asked to choose the amount discounted. 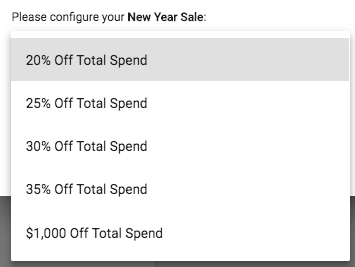 You'll see that 20% off the total spend is the smallest amount available for an offer. According to stats accumulated from previous iterations of our marketplace, and from our partnerships with venues, this is minimum that our customers will see as truly excellent value. That said, if you'd like to discuss a different offer arrangement, you can contact our Marketplace team at venues@venuemob.com.au. We know it's a significant discount, which is why we allow our venue partners to determine the minimum spend required for the offer to take effect, and the days that the offer applies to. For custom offers, please select a start and end date. This is the period for which discount will apply. As long as the minimum spend requirements are met, any event held within this period (start and end date inclusive), will qualify for the discount. Once you've confirmed the details of your offer, including minimum spend and agreeing to the T&Cs, time to activate it! Click 'Activate offer' and you're good to go. There's no need to notify our team if you've added an offer. We regularly check which venues are discounted when planning our socials and EDM marketing communications.